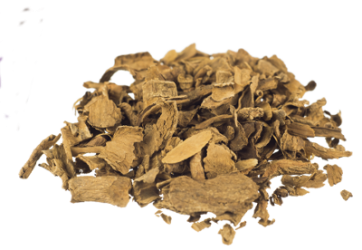 Voacanga Africana Rootbark contains the psychoactive substances voacangine and voccamine. These substances have stimulating, performance enhancing effects and can cause hallucinations in high doses. 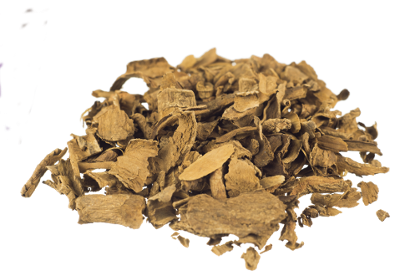 The Voacanga root bark is used as a hunting drug and stimulant. It’s also reported to be a potent aphrodisiac. Contains 25 grams of Voacanga Africana Rootbark. In sealed packaging. The bark of the African tree Voacanga Africana contains the psychoactive alkaloids voacangine and voccamine. These substances can cause hallucinations and work as an aphrodisiac. They also contain stimulating effects: these substances increase your heart rate, making you alert and awake. The chemical structure of voacangine and voaccamine resembles ibogaine, found in the Iboga shrub native to Central Africa. Ibogaine is an hallucinogen that according to some has an ‘anti-addiction’ effect. For people addicted to heroin in particular, ibogaine allegedly could potentially work medicinally, as it is supposed to alleviate withdrawal symptoms. Voacangine and voccamine are said to possess the same effects. There is little scientific proof in support of these claims. It’s possible to make a tea or infusion from 10- 15 grams of the root bark. As African medicine men keep their knowledge secret, little is known about traditional preparation methods. The bark of the Voacanga tree is also eaten for its stimulating effects. The concentration of alkaloids in the bark is generally about 2%, so the effects tend to be much less intense. Some people indicate that eating the bark brings them gloomy or sad thoughts and a depressed feeling. The Voacanga Africana belongs to the family of Apocynaceae or dogbane family. The tree is mostly found in the rainforests of West Africa. 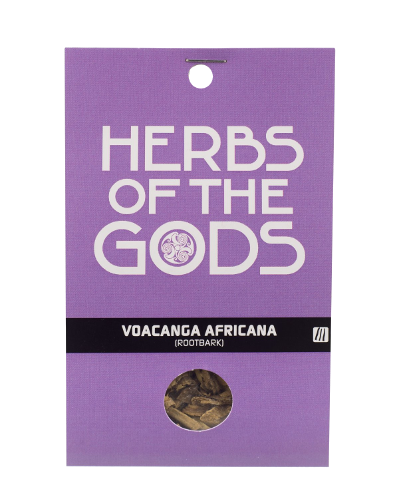 The hallucinogenic properties of the seeds and the bark of Voacanga Africana are used by sorcerers during initiation rituals and to induce visions. The plant is also consumed prior to hunting for its stimulating effects. The psychoactive substances in Voacanga increase alertness and stamina. Voacanga is also used medicinally. In Nigeria and Senegal the latex of the fruits of Voacanga is used to treat wounds. A tea of the bark is supposed to relieve shortness of breath and fatigue. The plant is also used to treat various heart ailments. Little is known about the exact ways in which Voacanga is used and treated by the indigenous peoples of West Africa, because sorcerers generally prefer to keep their methods hidden from outsiders.